Jay Leno Bio, Net Worth and Car Collection, Is He Married, Who is His Wife? A roll call of the greatest comics that America has ever produced cannot be complete without the mention of the name Jay Leno. He hosted several iconic shows such as The Tonight Show with Jay Leno, establishing a reputation as one of the funniest men alive. He dominated late-night TV ratings for a long time and was inducted into the Television Hall of Fame in 2014. Get to know more about him here including his bio, his extensive car collection as well as his wife of over 30 years, Mavis Leno. James Douglas Muir Leno was born on the 28th of April 1950 in Rochelle, New York. His stay-at-home mom, Catherine was originally Scottish and had immigrated to the U.S. at a young age. His dad, Angelo, sold insurance and came from a large Italian family. The young Leno grew up in Andover, Massachusetts. He was dyslexic but was undeterred by his disability as he put in extra effort to achieve his dreams. Jay Leno had his high school education at Andover High School. For his college education, he attended Emerson College where he graduated with a degree in speech therapy. Jay leno’s journey into comic stardom was actually kick-started by his English teacher, Mrs. Hawke. He was always telling jokes in the hallway and she convinced him to put the jokes down and share them with the class. This was the humble beginning of the man who would go on to become a legendary comic. On graduating from college, Jay Leno frequented many nightclubs in New York, working the circuits there. Initially, he didn’t make much money and had to work various side jobs in order to survive. His hard work and perseverance eventually paid off when he landed a place on The Tonight Show. He made his first appearance on The Tonight Show Starring Johnny Carson on the 2nd of March 1977. He was made the permanent guest host in 1987 and in 1992, he fully assumed control of what now became The Tonight Show with Jay Leno. The comedian manned the show from 1992 to 2009, receiving some of the highest ratings the show would ever see. During his tenure, the Boston native interviewed prominent guests including the likes of Barack Obama, John McCain, Justin Timberlake, and the history-making astronauts Buzz Aldrin and John Glenn. Jay Leno left The Tonight Show in 2009, handing the reins to Conan O’Brien. He however returned barely a year later in 2010. He would go on to host the show for four more years before taking a final bow in 2014. 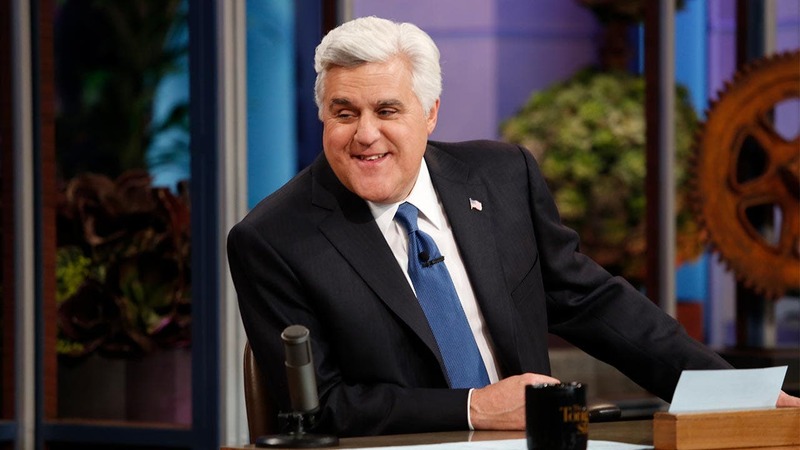 Despite his highly successful TV shows, Jay Leno has continued performing stand-up comedy at various venues throughout North America. He has also appeared in several movies, animations and TV series including Welcome Back, American Hot Wax, and Cars. Leno has received several honours and awards in the course of his career. They include two Primetime Emmy Awards for outstanding variety, music or comedy series and a Hasty Pudding Man of the Year Award from Harvard in 2011. In addition, he won the Mark Twain prize for American humour in 2014. Leno has also received an honorary Ph.D. from his alma mater, Emerson College, in 2014. 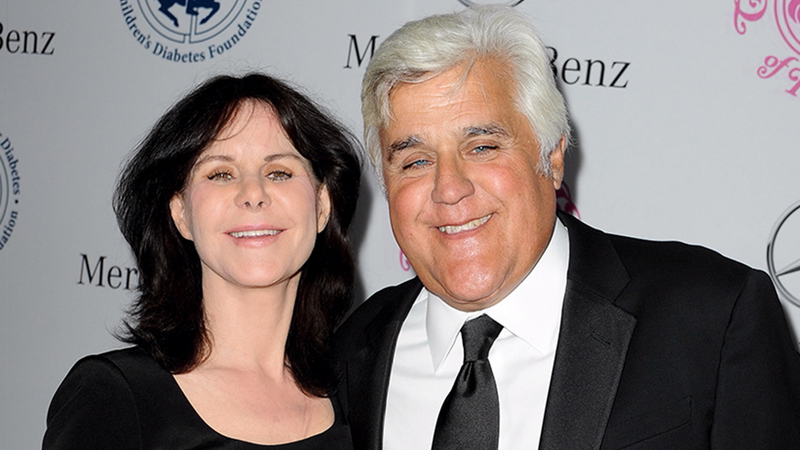 Is Jay Leno Married and Who is his Wife? For those that may be entertaining any hopes, sorry to dash those but Leno is happily married. He got married to Mavis Leno in 1980. They met when he was performing in a comedy club in L.A., she was in the audience and cracked up at all of his jokes. His wife is a board member of the Feminist Majority Foundation. It is an organisation that fights discrimination against women. Leno and Mavis have no kids, by mutual agreement. Jay Leno is a passionate car collector. He owns at least 341 vehicles – consisting of 181 cars and 160 motorbikes. Among his collection are a sedan, a roadster, a Duesenberg Model X and a 1963 Chrysler Turbine Cars. Leno got his love for cars at a very early age. While growing up in then-rural New England, he would come across spoilt and abandoned cars, lawnmowers and snowmobiles. At the age of 12, he stumbled upon a small abandoned car. He got it running and his mom allowed him to drive it. Following his final bow from The Tonight Show in 2014, Jay Leno got a chance to indulge in his love for cars. He has a show on CNBC known as The Jay Leno Garage. The show is filmed in his garage in Burbank, California and reviews vehicles (particularly cars and bikes). It also features interviews with fellow car enthusiasts and gives Leno a chance to showcase his drool-worthy car collection. The show won a Primetime Emmy Award for “Outstanding Special Class — Short-Format Nonfiction Program” in 2016. It must be noted that Jay Leno never sells any of the cars. He can however auction them for charity purposes. Jay Leno is reportedly worth $350 million. He made the vast majority of his fortune from his long tenure at the helm of The Tonight Show, at a point he earned as much as $30 million annually. Leno also made a very substantial amount from his stand up gigs. What has also helped his fortune to grow is his conservative financial philosophy. According to him, whenever he has two jobs, he only spends money from the job that pays less and saves all the money from the job that pays more. He recently declared that he has never touched a single dime that he made from The Tonight Show!